Since 1987 Whipple Superchargers ™ have been the pioneers and leaders of twin-screw supercharging. 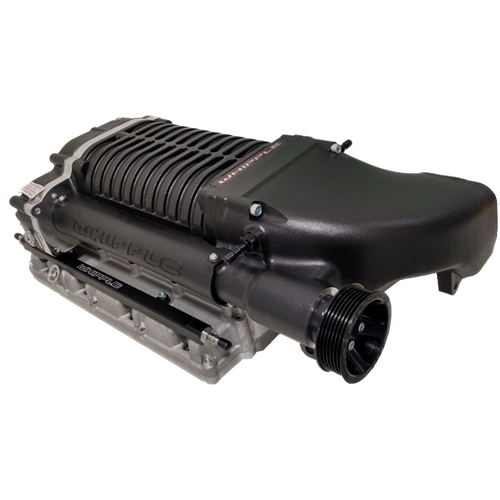 With over 26 years of twin-screw supercharging experience, Whipple’s team have now engineered the most powerful intercooled twin-screw SC systems available today for your Dodge V8 engines (in 2.9L and 4.0L configurations). 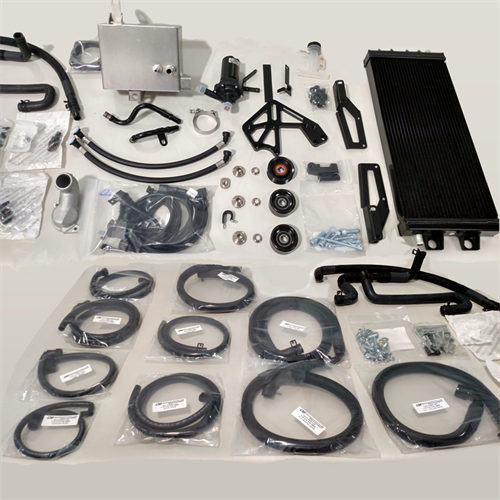 With all the latest technology, the Whipple system makes tons of power, giving you tire-frying, neck-whipping power that will give you a grin from ear to ear. The 2.9L Whipple system is 100% complete and is designed for stock engines but has enough capability to work with heavily modified engines. 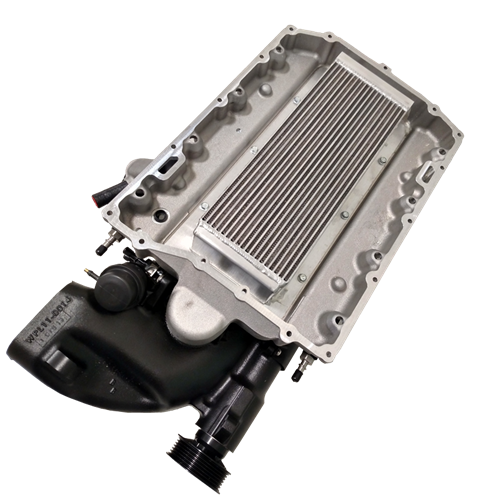 The system features Whipple’s massive oversized air-to-water intercooler for unmatched cooling capacity, a unique front feed W175ax (a whopping 2.9 liters) integrated Whipple twin-screw supercharger that reaches 99% volumetric efficiency and industry leading power potential. The unique intercooled bypass system offers better acceleration and less than 1 HP of consumption during cruising for excellent fuel economy. 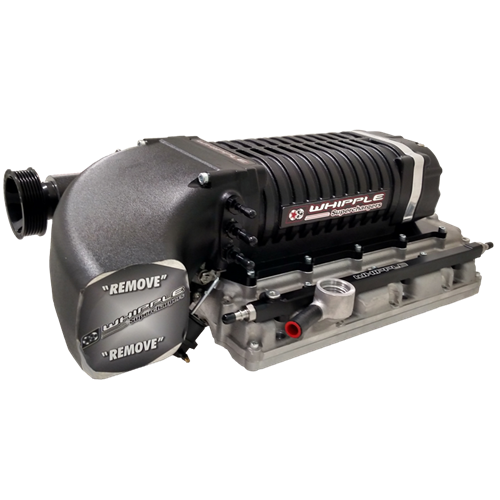 While others claim, Whipple Superchargers simply deliver more power per pound of boost than any other supercharger on the market today. 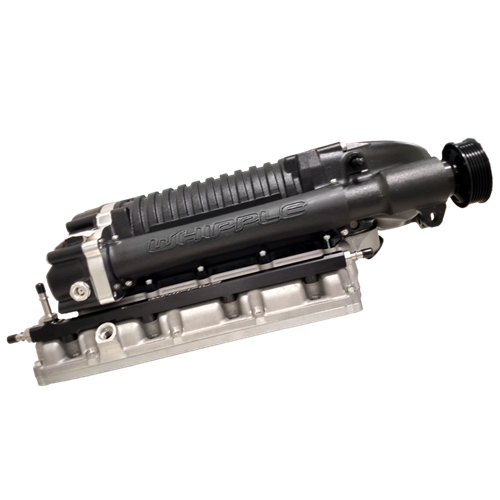 *Manufacturer claims no internal engine modifications required, however Arrington always recommends forged upgrades on any engine running more than 6 psi of supercharged boost, and in any turbo-charged HEMI application.